There is a significant distinction between the work of an executive and the work of a board member. According to Dan Siciliano, LCDA member and faculty for LCDEF’s BoardReady Institute (BRI), to succeed in the executive space, you need to get things done. But in a board setting, you don’t do anything. Instead, you ask the right questions. This explanation may sound simple enough, but it is a barrier to entry for many executives interested in board service. To dive deeper, the following is a high-level look at the qualifications, training, and strategies for becoming board ready. Experience in a senior executive role with P&L responsibility and board interaction. The actual title you have depends upon the size of the company, so think of it this way: your P&L responsibility has to be a significant portion of the company’s entire P&L. This indicates your amount of responsibility with the company, and you likely had a substantial amount of interaction with its board. The “human interactive dynamics,” as Siciliano calls them, are what boards are really looking for from the prior board experience requirement. These include two things: the temperament to engage in cooperative skepticism without being tempted to do rather than guide, and the ability to operate inside a difficult environment where you might disagree with people, but you have to get along with them. Proven success at exercising sound judgement in business decisions. In other words, knowing what to let go and what not to. You haven’t had significant P&L responsibility, but you have been an individual contributor, spearheading projects and frequently appearing in front of boards. You’re an entrepreneur or CEO of a smaller enterprise, and you had to manage your own board, but it was a different kind of board. You’ve been in government service at a very high level. You’re on the board of a very large or prominent national or international nonprofit. You’ve worked as a big audit partner, such as at EY or KPMG—this is invaluable for audit committees. Siciliano has taught Stanford advanced-education students and LCDEF BRI participants, and when meeting the latter, his consistent reaction has been, “How are they not already on boards?” Their impressive careers often make these Latino executives more than qualified; however, they don’t always perceive themselves that way. “The Latino culture allows for a conservative view of one’s own qualifications,” he explains, noting that the BRI program works to dispatch these ideas and instead focus on preparing and positioning them for board director roles. Accounting. At a board level, this means being able to make your way through all of the materials you’re given which you need to sign off on. Finance and risk. “There are a lot of risk and strategy decisions that the board is a part of,” says Siciliano. The curriculum teaches that there is a process by which people consume information and make decisions in difficult environments—be it overloaded with information or very dynamic. Understanding this process empowers board members and board-ready candidates to do this well, which proves to be an asset for any board. To learn more about the BRI program, contact Carmen Joge. The number of public companies listed on US stock exchanges has been on a steady decline since 1996, when the number peaked above 7,ooo. Today, that number is less than 3,800. “Increasing the diversity on boards is an uphill battle, because the number of overall board seats are not increasing in the aggregate, and the total tenure of board members is also increasing,” Siciliano says. Literally meaning a director who has not previously been employed by or provided a significant amount of work for the company, the independent director is a requirement for certain committees of public companies’ boards (such as compensation and audit). But on the private side, the company has more room to decide who its directors are, and the trend has recently shown that large private companies believe the requirement of independent directorships is a good practice to follow. “Doctors say you have to manage your own healthcare—well, you have to manage your own board-seat strategy, as well,” Siciliano says. Are you particularly adept at a certain field? Do you have a passion for a particular industry? Discover the voice and expertise that you will bring to the boardroom and identify the companies that need your voice. “Then go aggressively out of your way to seek out and meet the people who you think are on the boards you are well-suited to,” Siciliano recommends. Attend events like those hosted by the LCDA and the National Association of Corporate Directors (NACD) to make strategic connections and build your social capital. Dan Siciliano is a member of the Latino Corporate Directors Association, an instructor for the Latino Corporate Directors Education Foundation’s BoardReady Institute, an immediate past faculty member and Professor for the Rock Center for Corporate Governance at Stanford University, and a member of the board of the San Francisco Federal Home Loan Bank. 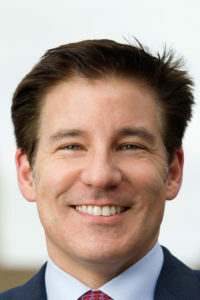 Previously, Siciliano founded and served as chairman and CEO of LawLogix Group, a global software company named nine times to the Inc 500/5000 fastest-growing companies list.